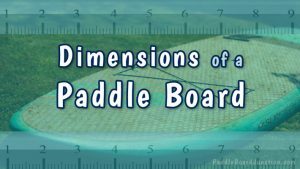 There’s so many types of paddle boards it can be quite confusing at first. Fortunately I had grown up surfing so I was familiar with some of the board terminology and construction. Basically born from the sport of surfing paddle boards share much in common with their close cousin – the surfboard. 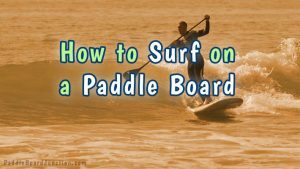 Paddle boarding has evolved into so many specific sub-categories each having their own style of board. Whatever type of paddle board you choose make sure it fits your everyday purpose. You want your board to be optimal for how you’ll use it most often. For instance, don’t buy a racing SUP if you plan on spending most of your time casually cruising around the lake on it. 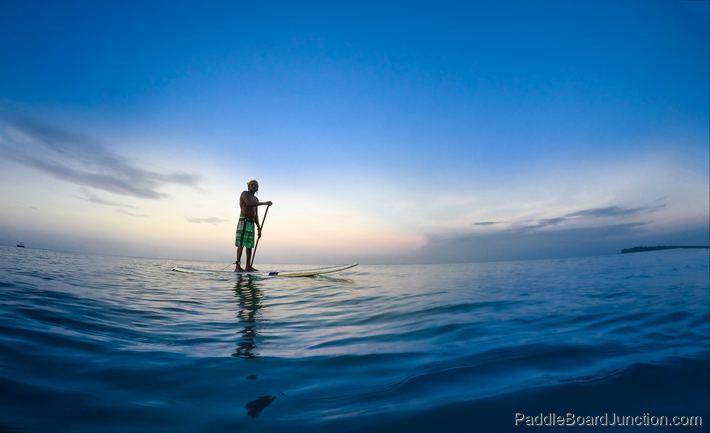 Each paddle boarding type is typically available as a solid board or an inflatable board. Besides that they can vary greatly in their overall size and shape…. depending on their designated use. As you might imagine there are a wide variety of constructions consisting of all kinds of different materials. Some of the materials chosen to build boards may even surprise you. 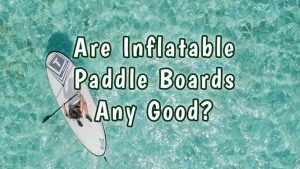 Where paddle boards have really made some technological gains recently have been in the area of inflatable boards. “iSUPs” as they are sometimes called have gotten really sturdy in recent years. You wouldn’t think you could stand on one but you can. They have become incredibly structurally sound with all the modern R & D that has gone into one. Don’t worry, iSUPs are not anything like those flimsy blow-up tubes you might have seen your kids playing with. One of the benefits of an iSup is in their ability to deflate and roll up to the size of a large backpack! For this reason they can be stored and transported really easily compared to a solid paddle board. Also iSUPs are usually a wee bit lighter than a rigid board of the same size. This, again makes it easier to carry. Carrying a 10 foot, or 11 foot board can tire you out, especially if you’ve got a long walk to the water or if it’s windy. If you are a woman pay attention to the overall weight of the paddle board. You might not need a board that supports 300 lbs! Find a good quality SUP designed for a women. My wife Zoe, has a tough time moving her paddle board from place to place and here board is pretty light. It really wears on you after a while, especially when you have to carry your board after your paddling adventure! Now I know there’s some big guys out there whom are in need of a big guy paddle board. You might be able to compromise with a smaller board but it won’t be fun to ride or very stable. I can ride my wife’s 10 foot 4 inch 165 liter (volume) but it’s not very fun. I have to keep moving to stay balanced and it barely keeps me afloat standing still. And forget about riding it with our dog. People have managed to incorporate stand up paddle boarding into and endless array of activities. From flat water casual riding to yoga and fishing, the types of paddle boarding that you can enjoy seems to grow each year! Into yoga? Like the water? Yep that’s a thing now. SUP yoga has exploded in popularity in recent years. From paddlers enjoying a few strength training and stretching moves to full blown yoga classes that meet out on the water, it’s quite an experience. There are designated SUPs designed specifically for yoga. 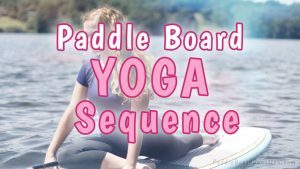 As you might imagine yoga styled paddle boards are super wide and have really flat, well-padded deck on which to do your yoga. Yeah, fishermen have slowly carved out their own niche out on the water. Due to their increased demand for fishing gear companies have responded by manufacturing SUPs that are meant for fishing. 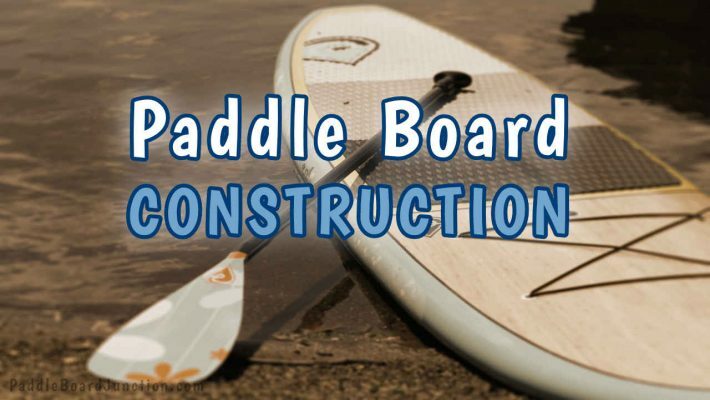 Fishing paddle boards typically come with a boat-load of tie-down contraptions and the ability to expand, add-on or secure all kinds of gear. In fact, you’ll find more SUP fishing accessories than you can shake a stick at. Check out our page on Accessories for a complete rundown on all the fishing-doodad, bells and whistles. Don’t worry, fishing from a SUP won’t be like standing on a surfboard with your rod in your hand. And because paddle boards enable a stealth-like approach to most fishing spots you’ll be sure not to scare away your next catch! It didn’t take long for people to desire more time on their boards and to cover greater distances. This distance bug has certainly bitten me recently. I have found myself pushing the limits on my paddling excursions, calculating my trips in hours and miles, rather than minutes! If you get into long distance paddle boarding, just be sure to pack what you need and pay close attention to the weather. When you are hours away from your launch site, things can get dangerous! Waves to small to surf? Maybe not! Since your paddle board is fast and buoyant you’d be surprised just how small the surf can be and you’ll still be able to catch the waves! 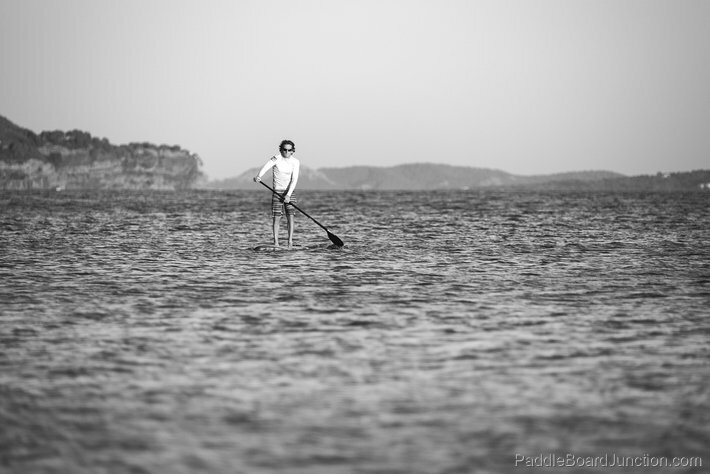 Besides… if the swells die down to lake-like levels you can aways enjoy the paddle and the view! Every time I turn around there is another company making paddle boards. This is further confirmation that the sport is continuing to grow. I think a large percentage of people whom kayaks didn’t sit right with them, pardon the pun, have taken to stand up paddling. The good news is that you can order a SUP right from your computer. Spend some time getting to know the best paddle board brands and then simply order one online!